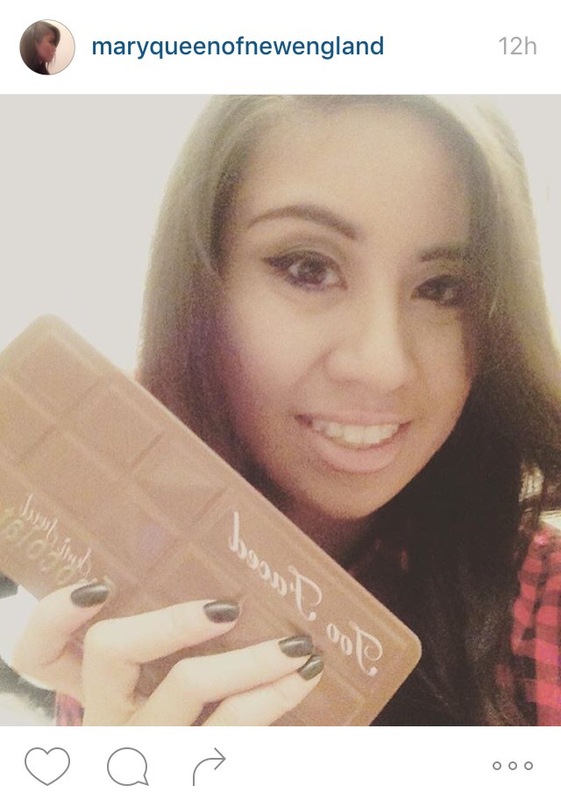 I’ve been eyeing the too faced chocolate bar palette since I had seen the tutorial by Marianne Ramos. But spending $50 on a palette was hard to bite on. This past Xmas my new boss gave me a gift card to Sephora. It was such an awesome gesture. I knew exactly what I was going to purchase with it. 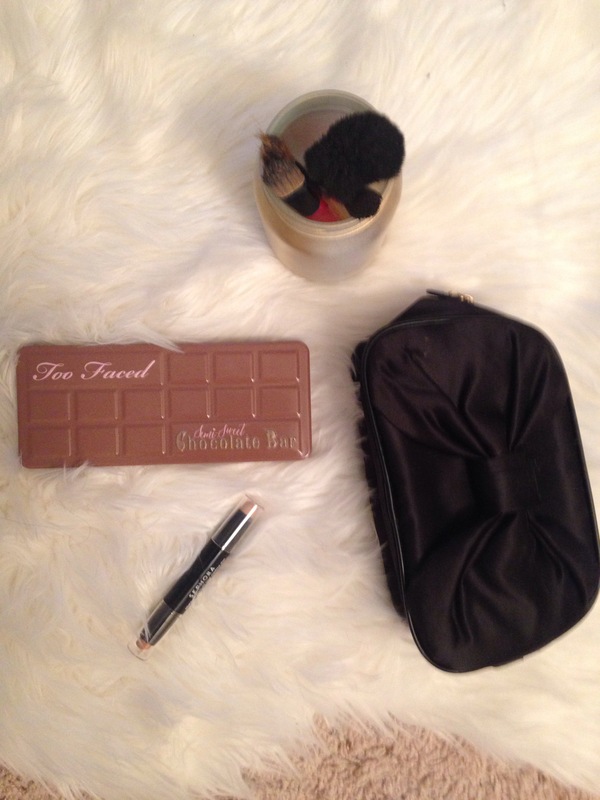 When I found the time I headed to Sephora and picked out my semi sweet chocolate bar palette. Filled with an array of fun colors and scents of subtle sweetness I was a happy customer. 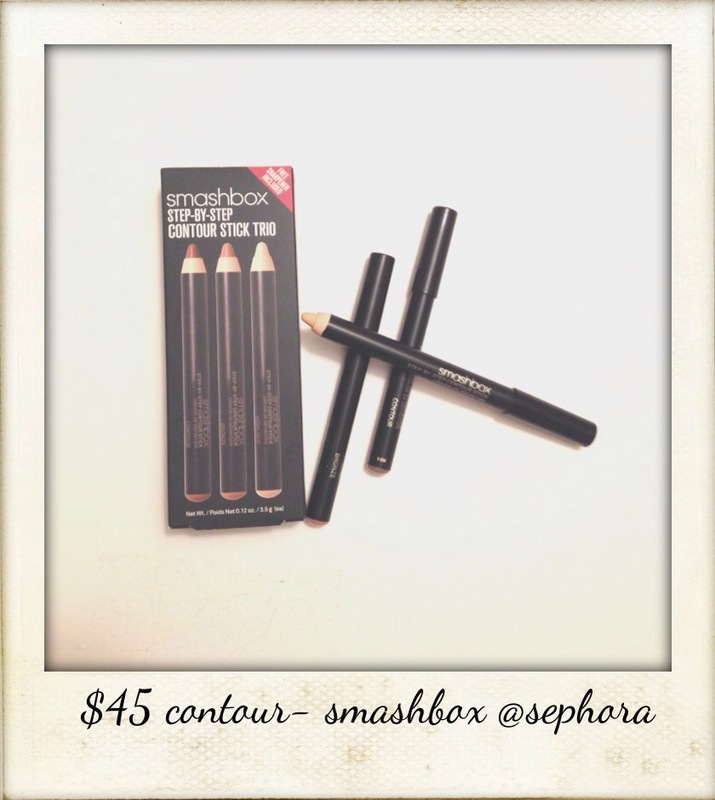 I even walked out with a second item of Sephora brand contour/highlighting stick seeing as I was running out of my smashbox version. Who doesn’t love getting a fresh gel manicure? When you’re as addicted to them as I am it can become a costly added expense. So maybe once in a while why not DIY? I found OPI polish at a discount at marshalls, along with that I found a gel-like topcoat set. Results don’t last as long as a real gel manicure, but it’s not a bad alternative until you’re next manicure! 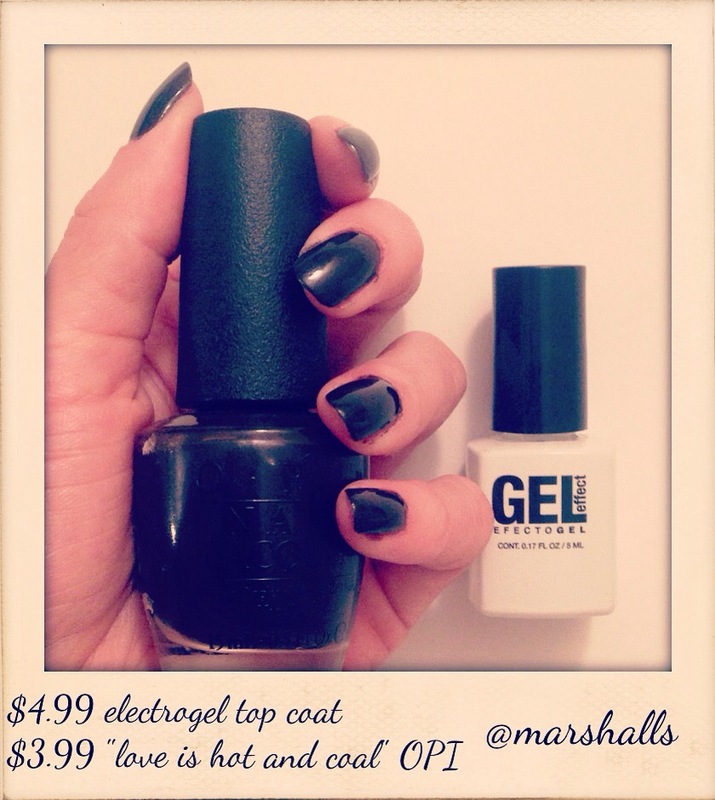 I love the shine on a fresh new gel manicure, but have you ever considered going matte? It’s a pretty cool effect too. 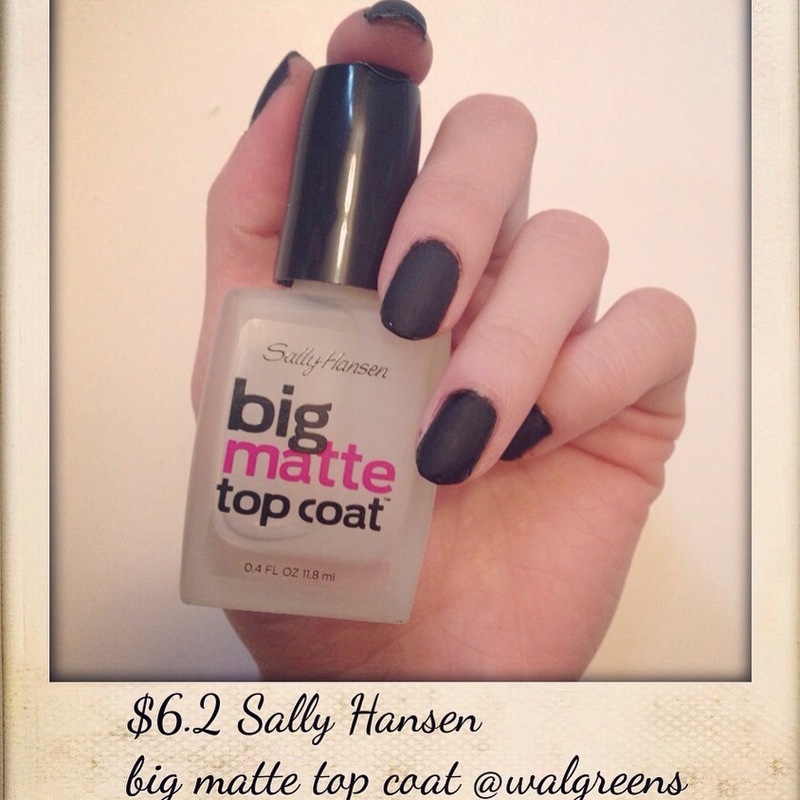 Try matte black with shiny black French tips to do a play on both textures. Dedicating a post to my lil seester on her 21st bday! 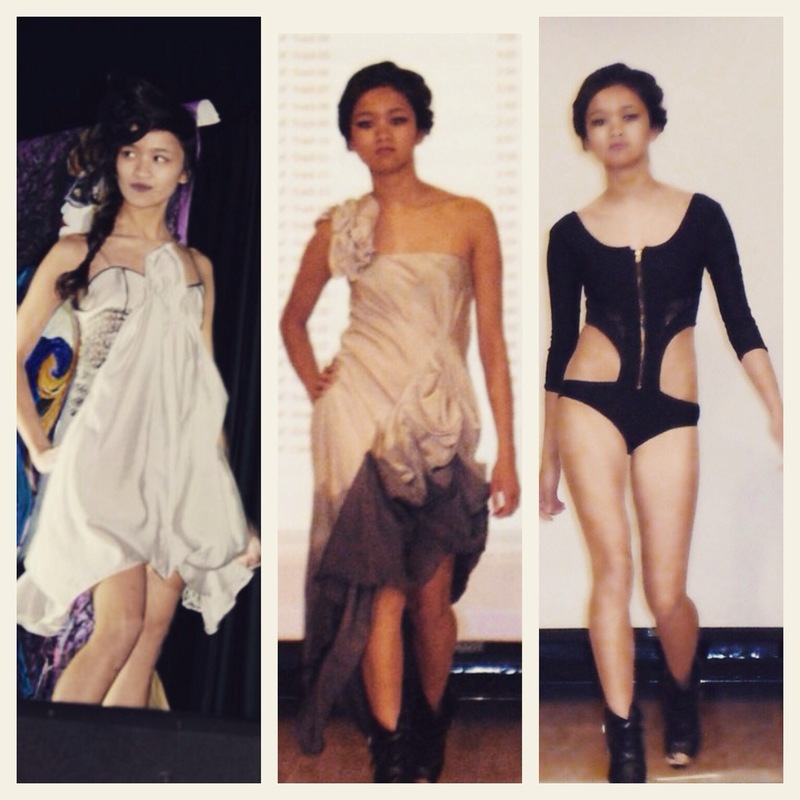 This goes back to my college designing days and her runway modeling days! She is so stunning. A burst of bubbly energy and a walk full of attitude, she is a fashionista in her own right. Happy birthday! You love those black nails. And how could you not, they’re so chic and they go with everything. But sometimes you want something that feels new. Try another deep shade like burgundy, or navy. 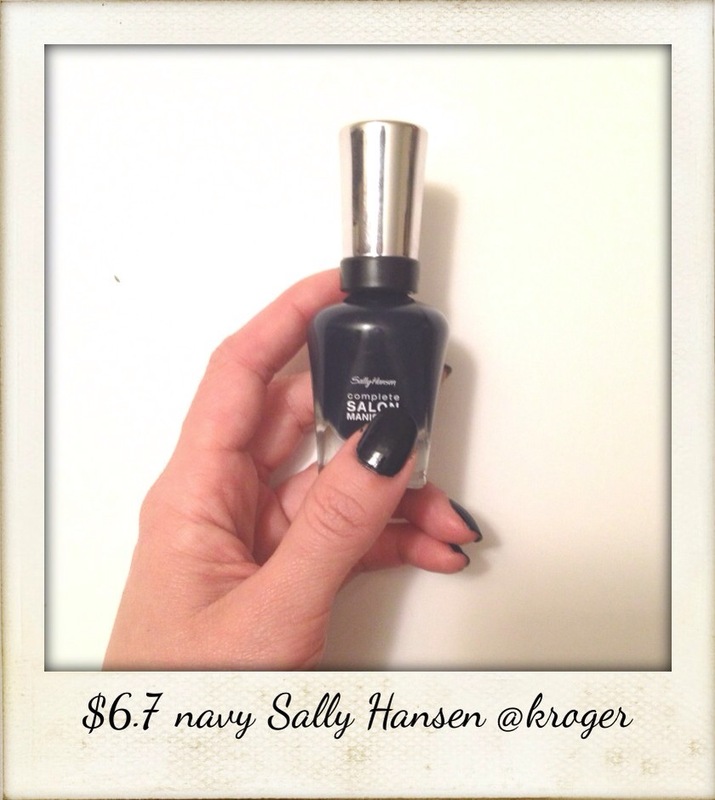 These deep shades have the same chic effect, just a new taste for your usual black claws. I hate to be a hater but drugstore make up is never a good frugal option for good quality and lasting results, In my opinion and experience anyway. 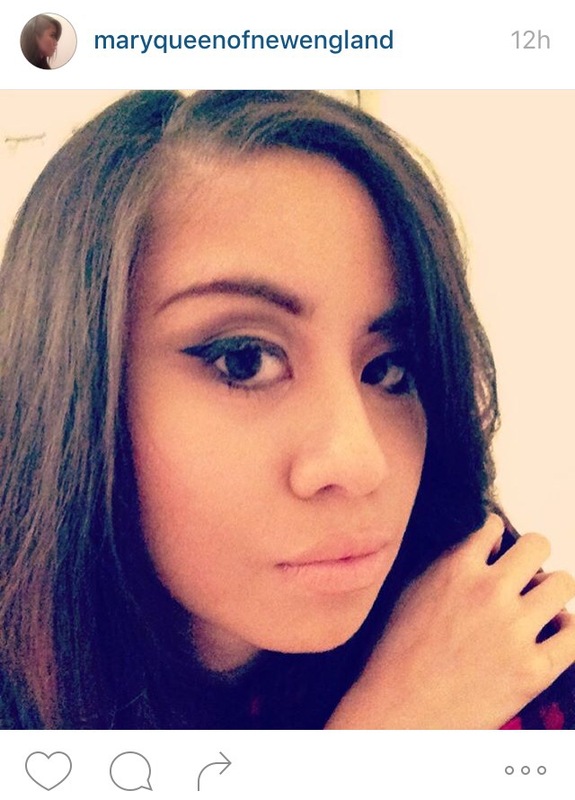 I used drug store make up throughout highschool and used to think people who spent more than $8 on makeup pieces were crazy….until I tried it myself. Have you ever looked at someone in passing, so well put together, face glowing? FACE GLOWING and smooth?! It wasn’t until after I started trying out higher end make ups that I realized my face could achieve those flawless looks too! 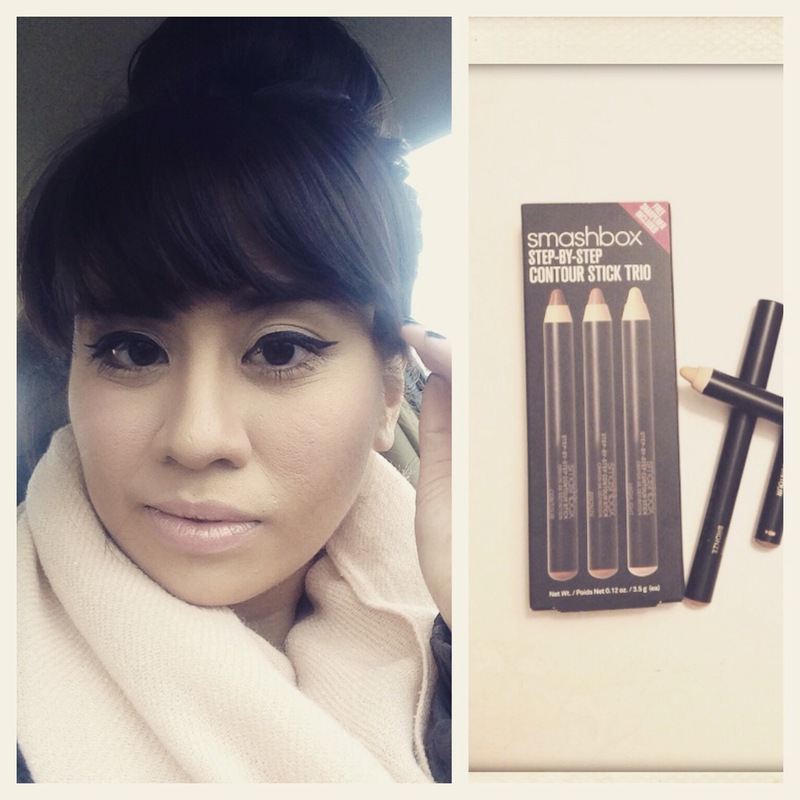 Better make up doesn’t always mean you have to break the bank. Some of my favorites still remain in the $20 area. Not bad for flawless! 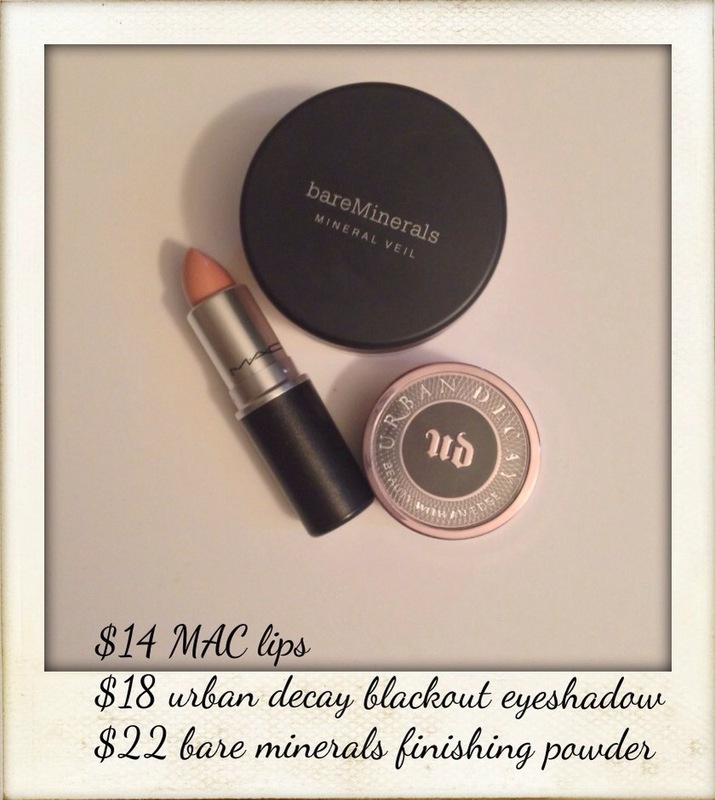 Bare minerals finishing powder – gives your face that photo finish clean smooth matte look. It especially helps when your face gets oily quick. 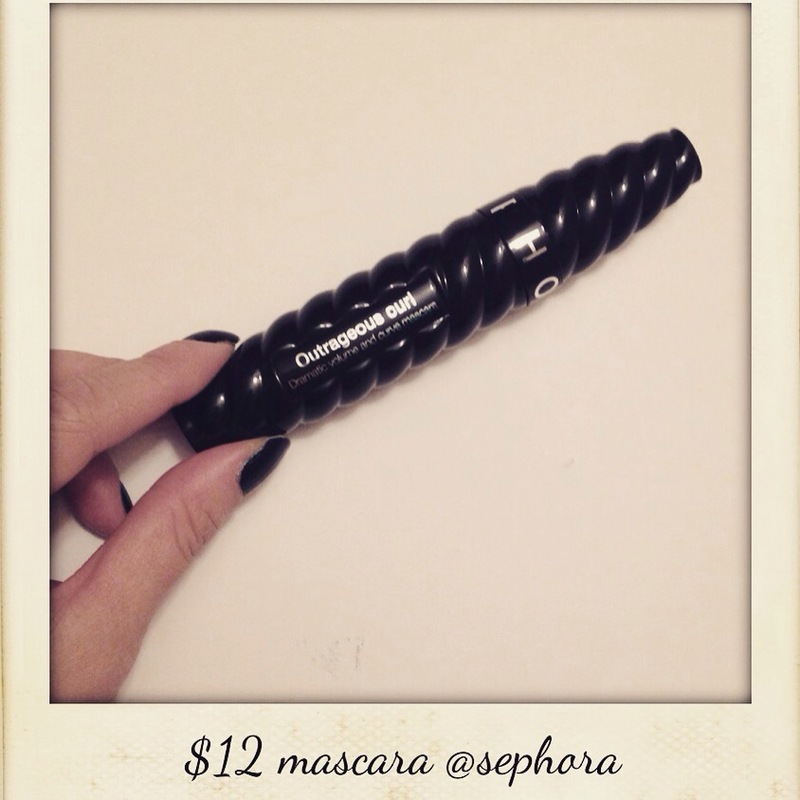 I tried to use a drugstore brand to test it out as a cheaper option…def a waste of my $11. Treat your face a little 🙂 you’ll love the results.